The Public Transport Agency, Roads and Transport Authority RTA, officially launched the Smart Taxi app in a press conference dedicated to this event held yesterday at the Intercontinental Hotel, Festival City in Dubai in the presence of Abdullah Ali Al Madani, Chairperson of RTAs Smart City Committee and CEO of Corporate Technical Support Services Sector; Ahmed Hashim Bahrozyan, Head of the team supervising the implementation of the integrated roadmap for transition into a Smart Government and CEO of Licensing Agency, Dr. Youssef Mohammed Al Ali, CEO of Public Transport Agency, Adel Shakri, Director of Transportation Systems, Public Transport Agency and a horde of various media representatives in the UAE. The initiative is launched in the context of RTA’s full support to the initiative of HH Sheikh Mohammed bin Rashid Al Maktoum, Vice President and Prime Minister of the UAE and Ruler of Dubai, to transform Dubai into the smartest city worldwide within less than three years. This support is manifested in adopting smart solutions and apps in various services and initiatives provided by the RTA to the public. “Since inception the RTA has been pursuing the delivery of services befitting the high profile of the Dubai Emirate as a premier economic, tourist and financial global hub attracting investors, business leaders, tourists and visitors particularly during the season of conventions representing a host of vital sectors,” said Al Madani. “The RTA attaches paramount importance to realizing the vision of HH Sheikh Mohammed bin Rashid Al Maktoum, Vice President and Prime Minister of the UAE and Ruler of Dubai, in caring for the public & customers spanning various community segments through delivering best-in-class smart services matching to their needs. Such services should be of a 5-star category through offering them via smart mobile phones enabling users to process their transactions in a smooth and accurate manner at any time and place without obliging them to wait for conventional procedures to take place; which will eventually add to their satisfaction rating,” continued Al Madani. Bahrozyan said: “All agencies and sectors of the RTA are moving ahead towards the optimal implementation of smart services with a view to delivering an array of accessible services for all community segments enabling them to benefit from RTA’s service offering represented in taxi and public transport services as well as other services on offer. 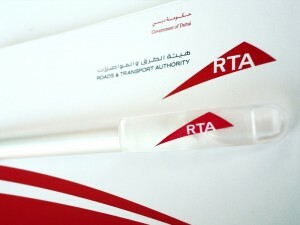 “We, in RTA, are seeking to develop the best concepts and ideas in support of the drive launched by our prudent government with regard to the transition to the Smart Government and transforming the entire Dubai into the smartest city in the world within less than three years with the aim of fostering a cosmopolitan city characterized by advanced service offering and happy life and exclusive welfare for citizens, residents, tourists and visitors alike,” continued Bahrozyan. Dr. Youssef Al Ali said: “The Smart Taxi app constitutes high value added to the package of RTA services, particularly as the taxi sector is considered among the key sectors supporting the tourist movement in the Emirate of Dubai, let alone the rising demand for this service by a large chunk of the community in the Emirate. “This app will be fully integrated with the Booking and Dispatch Center at the Public Transport Agency; which is responsible for handling incoming taxi booking requests from the public. 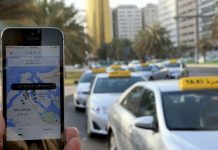 The Center is manned by staffs well trained on dealing with advanced technologies rendering booking a taxicab a smooth, speedy and accurate exercise,” he continued. The press conference included a visual presentation made by Adel Shakri, Director of Transportation System in Public Transport Agency, where he gave full explanation of this advanced technology to the audience and demonstrated the service in a real life model through a smart phone. He explained to the public the steps to be taken for using the Smart Taxi app installed on smart phones, and the credence of this app was boosted by the arrival of taxicabs at the front of the hotel in which the press conference was concluded. 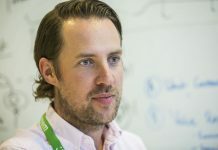 “The Smart Taxi service has a unique concept in ‘ordering the taxi by flipping the phone’ thus enabling the user to order a taxi by simply flipping the smart phone such as the iPhone or Galaxy. To enable the holder use this app, the telephone number must be entered such that the app will look for the nearest taxicab and automatically direct it to the requester. 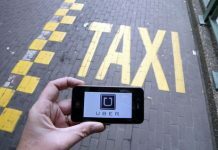 “This app is capable of instantly pinpointing the location of the user rendering the exercise of locating a taxicab very smooth and straightforward. Once the cabdriver confirms the order, the user is directly informed about the location of the taxicab, and will also be intimated when the cab arrives at the location selected by the user. “It will be possible for users to assess the performance of drivers, thus enabling the RTA to obtain direct feedback from users which will accordingly contribute to raising their satisfaction rating. This smart initiative will cover more than 8997 taxicabs in the Emirate of Dubai including 495 cabs of the fleet of Hala Taxi. 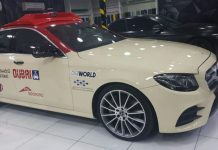 The taxi system is fully automated with no human intervention involved, and the requester can track the movement of the cab until its arrival at the destination, and the system is linked with the Booking & Dispatch System known as Dispatcher 8 or D8. “At the end of the trip, the user is provided with a simple 5-point template to assess the performance of the driver, and through this app it will be possible to retrieve the previous booking requests made by the user for use in processing new booking requests. “This app also enables the user, besides the instant booking of taxicabs, to book a taxi in advance at any time and date, and if the user approaches a taxi rank, the app will give directions leading to the taxicab. 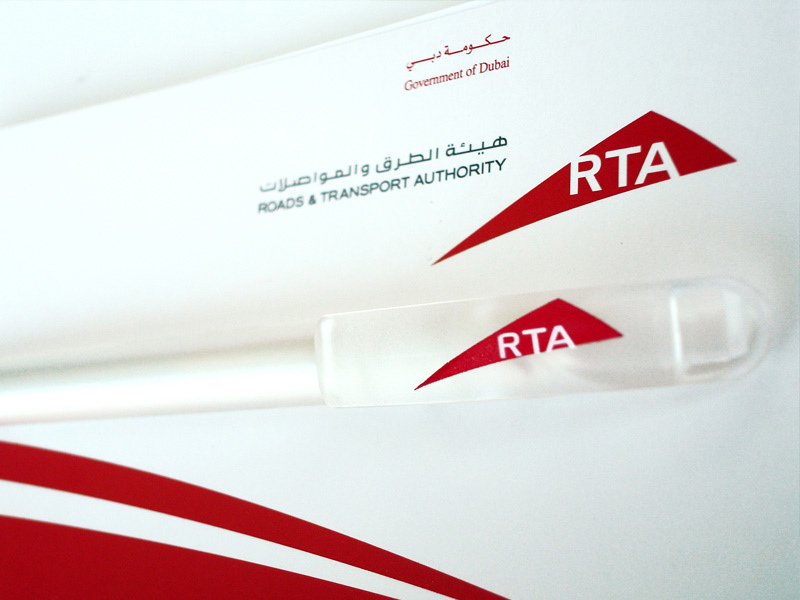 “The RTA is always seeking to harness the latest technologies in developing its diverse services offered to various community segments at world-class standards. In view of the rising demand for the taxi service in Dubai Emirate, we are committed to continue broadening the scope of our services and upgrading them to achieve higher users satisfaction,” said Shakri in a concluding remark. The Smart Taxi app is considered an advanced system characterized by several unique features as it enables users to book a taxi by single click at any time and from any location the customer might wish through the smart phone app. The program is viewed as smart communication channel that is infinitely simple, yet matches to the latest technologies, and reaches out to broader segments of the community besides addressing their individual needs and aspirations. This smart app renders the taxi booking process a new stylish process characterized by luxury and excellence offered to all in the Emirate of Dubai. The Smart Taxi app has a unique feature of instantly picking up the address and identifying the whereabouts of the passenger; which enables the user to recognize the address without having to key-in the details of the address which might be difficult to some categories such as elderlies, new tourists in the Emirate of Dubai or those experiencing vehicle breakdown in a location new to them. These categories need not worry about ordering a taxi after now as the Smart Taxi app is there to meet their demands. The design of the Smart Taxi app has been configured to include a memory recording all details and dates of bookings made by the customer through the system. Thus the customer can select one of them from the history of bookings previously made in making another booking or refer to them to obtain other booking details. It is worth-mentioning that smart phone users can download the app in their telephones through entering the statement (RTA Smart Taxi) in Apple Store for iPhones and the statement (Dubai Smart Taxi) in Play Store for Galaxy phones.